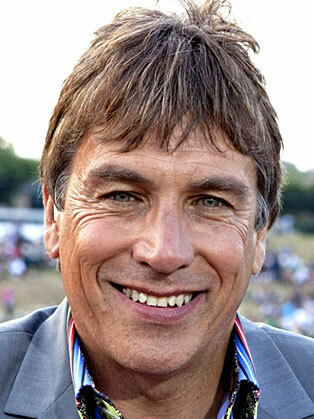 After John Inverdale gained a post-graduate journalism qualification, he began his career with two years at the Lincolnshire Echo, and then joined BBC Radio Lincolnshire in 1982. Inverdale began to work on the BBC's national radio stations in 1985, firstly on BBC Radio 2's sports unit, then between 1990 and 1994 at BBC Radio 5 where he presented the flagship sports programme 5 Live Sports. At 5 Live, he hosted the topical show, Any Sporting Questions, a variation Radio 4's Any Questions and similarly toured the UK each week. In 2008 he broadcast for 5 Live from the Olympic Games in China. Inverdale is a sports enthusiast and has headed 5 Live's coverage of such events as Wimbledon Championships, Commonwealth Games and the Rugby Union World Cup to name a few. Inverdale was the main host for ITV Sport's coverage of the 2012 French Open. In October 2012, he filmed several episodes of the Channel 4 show, Countdown. Inverdale received a honorary degree from the University of Southampton in July 2001. He was awarded an honorary fellowship to the University of Wales Institute, Cardiff (UWIC) in 2009.